 Goizper 4.05 and 4.05B Series is an Electromagnetic Multi-Disc Clutch. Manufactured with a collector ring, the coil is fed through to produce a magnetic field when it receives electrical current. Protecting your components from damaging loads, whilst offering quick reaction times. Using a collector ring, the coil is fed which produces a magnetic field. This field attracts the disc, which catches the set of interior and exterior plates, clutching the shaft on which the core is mounted. The power must be supplied by means of a current brush. Goizper Series 4.05 and 4.05B must work in a lubricated medium.